← Crocus, Frogs, and Bees! Oh My! Many folks in the Pacific Northwest are starting seeds this month for transplanting later in the spring. But what about seeds that we can plant outside right now? I did some research and came up with a list of those plants that germinate better with a period of cold or fluctuating cold/thaw cycles, which is exactly what we experience at this time of year (and often throughout the entire winter). And Wow! There are a lot of them! Many more than I expected! 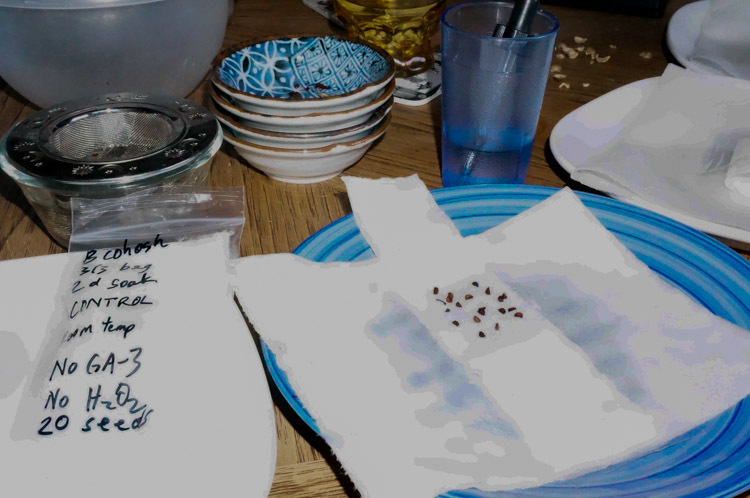 You can also cold-stratify seeds by putting them in damp paper towels in a plastic bag, storing them in the refrigerator for a month or so, and then opening them up now and then to let in air and check the moisture levels. I have done this with good results. 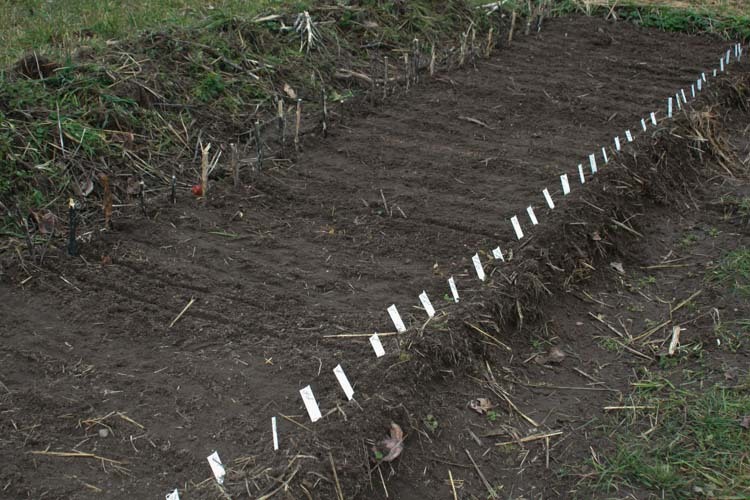 I can also attest that this is a great way to fool garlic into thinking it has experienced a bit of winter if you didn’t get around to planting them in the fall – and then, by the time the ground thaws out, you can stick them in, and they will really take off. They might not get quite as big as those that had a longer time to get their roots more established, but they will still form the individual cloves that are characteristic of the bulb. (The process of this period of cold that is needed for the garlic to form cloves is called “vernalization.”) On the flip side, if you deprive the garlic of this cold period, you are more likely to get “rounds” – which are in high demand by some chefs who would rather not peel a bunch of cloves – so there are pros and cons to each way. For the geeky types out there (like myself) who want to learn more about just how and why a seed germinates, a great source for information is Dr. Norman C. Deno’s treatise, “Seed Germination Theory and Practice,” in which he explains germination mechanisms and delineates trials on some 2500 different kinds of seeds. He makes an important distinction: it is not that a seed is “dormant,” but rather that seeds have different mechanisms for blocking germination until conditions are right. So – to crack the seed germination code, all we have to do is figure out what these “delay mechanisms” are and how to get past them. We need to think like a plant. A plant is rooted where it is. It might be able to expand its territory through its roots, but it can transport itself over long distances through its seeds. How can it optimize its chances for success? Can it get past winter cold, summer heat, scorching fire, flood, or intestinal indigestion? All potential challenges. ~~Norman C. Deno, Professor Emeritus of Chemistry. 1993. So how do we know? Plants in similar families do not necessarily share the same delay mechanisms for germination. Quite often, it just depends on how they have adapted to the environment. Plus, germination can depend on any number of different variables or combinations of conditions. Some might require a certain degree of warmth or maybe a period of cold – or maybe a series of oscillating warm and cold; others need moisture or maybe a period of dryness. Desert plants will often germinate at cooler temperatures, a time when water is more likely to be available for tender seedlings. 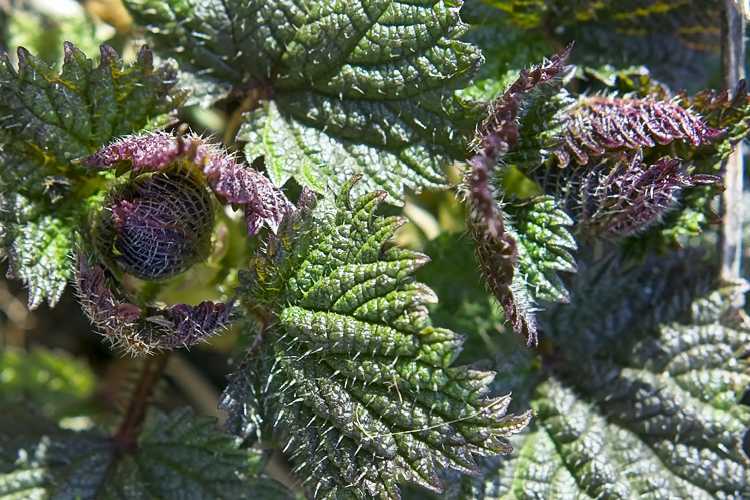 Some plants just need time – and how long that is, exactly, can vary – maybe years. Some need light, and obviously, others darkness. Germination can also be triggered by fungal interactions, and certainly, the right kind of microbial conditions in the soil can influence germination and growth success. Fruit seeds are often encased in a flesh that contains inhibitors that must be washed away before germination can take place (effectively done by birds that consume and excrete intact seeds). The complexity of seed germination can be mind boggling, but it’s basically a chemical process regulated by a plant hormone called “gibberellin.” Interestingly, gibberellin not only jump-starts germination, but can also stimulate growth, flowering, seed production, and other developmental processes – and – like most things, you can buy it online. Who woulda thunk, right? I admit, I was never very good at chemistry, but a couple of years ago when I received a box in the mail with my packet of GA-3 (Gibberellic Acid), I excitedly grabbed vials and containers, plates, paper towels, plastic bags, eyedroppers, a notebook on a clipboard, and donned a lab coat and a pair of goggles. Ahm. Ok. Maybe a bit much. But we’re never too old to play dress-up. THEN – I took all my seeds identified as “difficult-to-germinate” as well as a few common varieties and did a series of tests with pre-soaking in water, treating them with the GA-3 solution or with GA-3 plus hydrogen peroxide, putting them in the refrigerator or at room temperature for a month, and controls with no treatments. 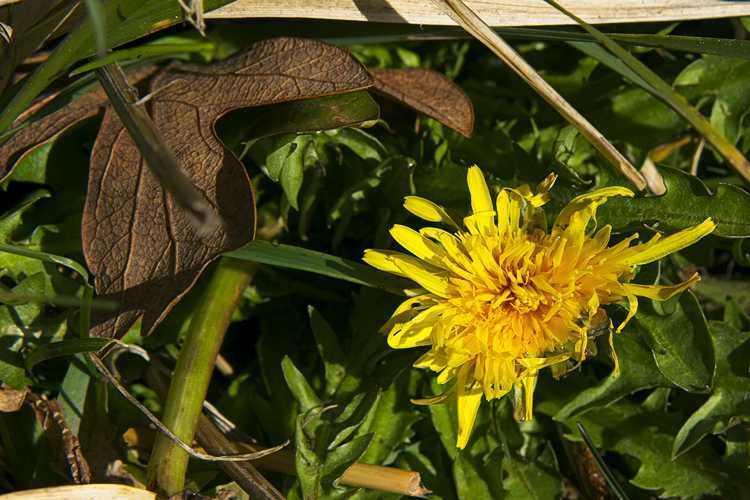 Giving the seed a winter-substitute cold treatment is often called “stratification,” but this term might be a bit misleading. More accurately, we are giving the seed a conditioning period, i.e., getting them into a condition where they can germinate. But back to my experiment. Seeds included astragalus, ramsons, atriplex, huazontle, Good King Henry, purple goosefoot, sea kale, mangle wurzel, rainbow New Zealand flax, portulaca, black cohosh, tomatoes, sweet peas, and a few others – and as one might guess, this whole series of seed tests quickly became quite complicated. The bigger question we are all waiting for: Did it work??? Um, well, yes and no. In most cases, the GA-3 DEFINITELY DID make a difference. But true confession: I am not very good with indoor plants, much less sprouts. You have to check them all the time, make sure they all have enough water but not too much, make sure no one is getting moldy, make sure you catch them right when they begin sprouting and not a day or two later when they can already be growing into the paper towels, and then you have to get them into soil without breaking them where they can grow into all that they can be, and then determine whether they are really doing any better than those that did not get all this “special” treatment. Aggg. Too many variables and mishaps! As noted above, I prepared a little plot and planted some directly in the ground in mid-January. By almost mid-February, the Bachelor Buttons are up and running. Others might still need more time or for the temps to rise. And if they don’t make it? No problem. I will toss out a few more seeds and try again. “Keep it simple” is my mantra. Some people may look at the photo above and think that is a hilarious statement. But seriously. Look around. Which plants commonly self-sow? They are probably the ones that like a little winter or need light to germinate. Which ones seem to appear out of nowhere? Those probably have a hard seed coat that requires pre-digestion – or maybe a different soil type where they were lucky to be dispersed by voles or birds. Some might even germinate several years down the road after they have long been forgotten – maybe they just need more time and a couple of winters. We look forward to those – and the challenge of figuring out what this “new discovery” is at that time. Getting some seeds to germinate can, indeed, be a bit of a trick. If it doesn’t work, it’s not a failure; when it does, it is a gift. Let Nature do the work! Yes! One and the same. Something I am passionate about…. Thank you! And great to hear from you, Les!